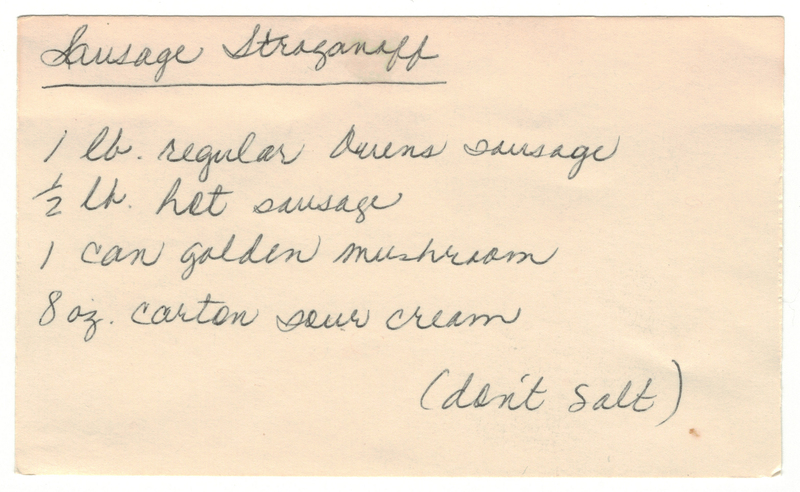 Ahhh … Mom’s sausage stroganoff recipe – I remember it well! This is a hearty meal that reminds me of crisp fall days and warm fall nights, compliments of this savory dish. This is one of my favorites and super easy to make. So easy, in fact, that Mom didn’t write out instructions on how to make it ~ just a list of the ingredients! 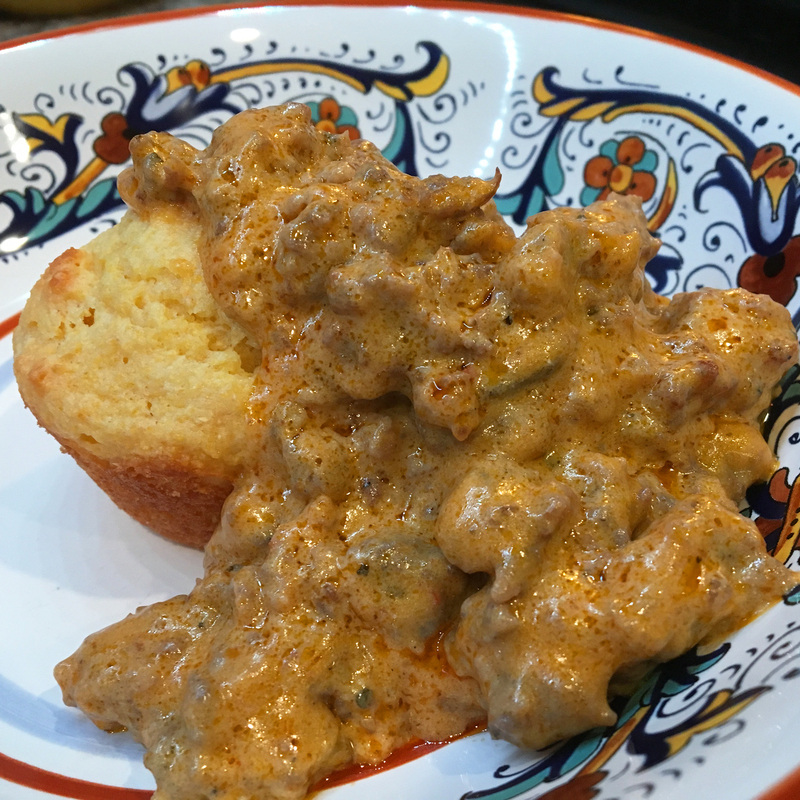 ♥ For you stroganoff fans out there give Mom’s Beef Stroganoff recipe a whirl. 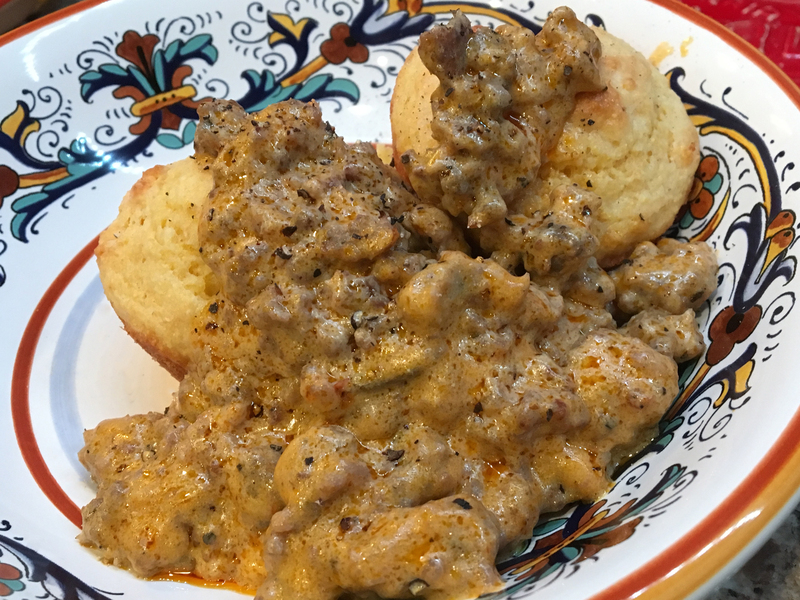 It’s a different take on this beef stroganoff and just as tasty. High fives to the folks who love carbs as much as I do! 2. In a medium-sized pan over medium-high heat, brown the sausages together. 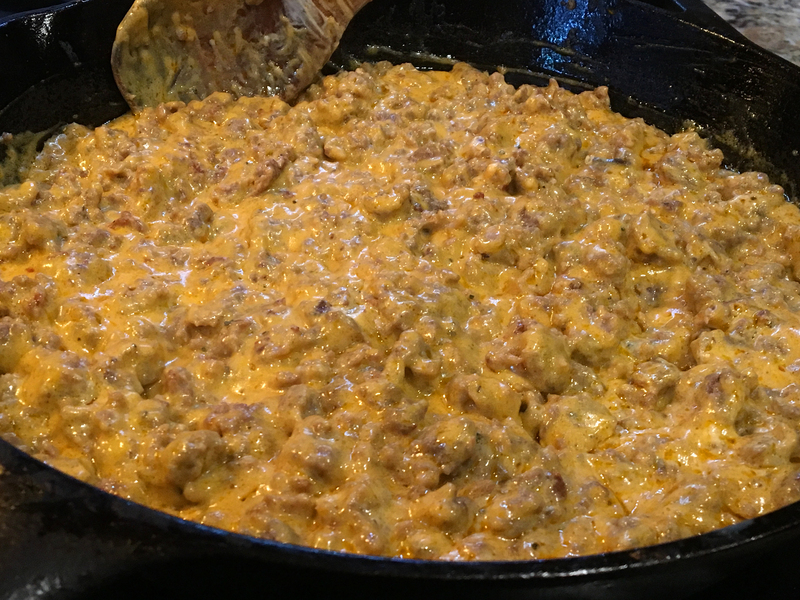 Drain grease from the meats and return it to your pan. 3. 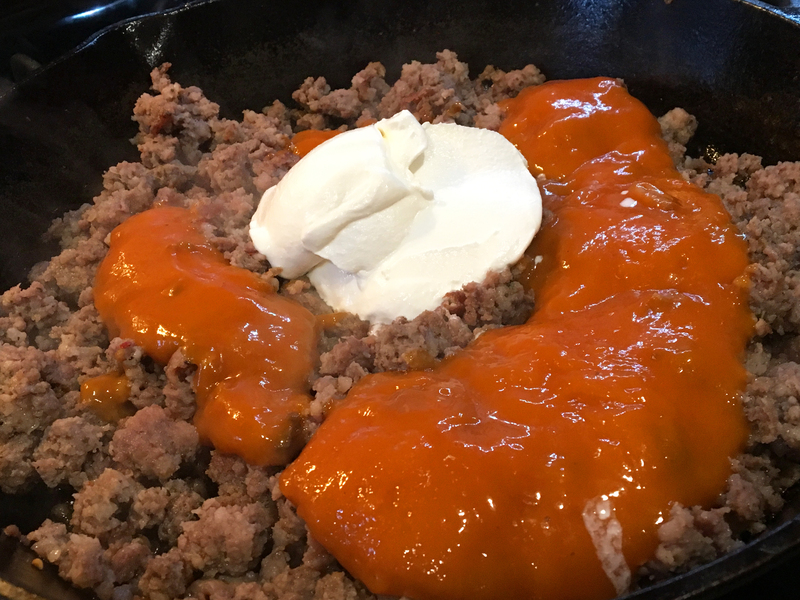 To your sausage mixture fold-in the soup and the sour cream until well blended. 4. When warmed through, you’re done! Serve on top of your prepared egg noodles or corn muffins. I remember Mom would just whip-up corn muffins straight from the box, cut them in half horizontally and serve each half topped with a generous spoonful of the stroganoff. A cleaned plate makes a happy belly! This is the original sausage stroganoff picture I posted on May 25, 2011 shortly after Betty’s Cook Nook was born. As camera technology and my own photo skills have improved over the years I decided to update this recipe with some more modern pics above. I’m leaving this one parked here for sentimental reasons!